Embroidery is the art of decorating textile fabrics by means of needle and thread. The basic embroidery techniques include crewel work, needlepoint, and cross stitch. Computerized embroidery machines simplify the tedious aspects of this art and complement the creative talents of the skilled needlecraft artist. Embroidery machines are a dream-come-true for today's decorative sewing hobbyist or professional. Some machines enable you to create, scan, edit, and digitize embroidery designs so that you can embellish linens, clothing, and heirlooms with your own personal touches. Al Jazeera. Tuesday, 05 Mar 2019 11:51:20 GMT. Karen Zraick. New York Times. Friday, 04 Jan 2019 00:19:33 GMT. There are two types of home embroidery machines. One type of embroidery machine can be used only for embroidering; the other type can be used for sewing as well. An embroidery-only machine can stitch pre-programmed designs, but it cannot sew standard sewing machine stitches. It is a good choice for sewers who wish to complement their traditional sewing machines or who are only interested in embroidery. 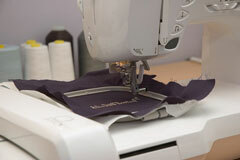 A combination sewing and embroidery machine can be used for both sewing items and embroidering on them. Embroidery machines for home sewing may feature built-in designs, a slot for an embroidery card, or even a built-in disk drive through which embroidery designs can be uploaded. Each manufacturer develops its own proprietary touch screens, bobbin winders, needle threaders, and other features. Thousands of embroidery designs are available from local embroidery machine dealers, online embroidery design sources, and professional digitizing companies. These designs are generally produced in multiple embroidery machine file formats. Remember that purchased embroidery designs are copyrighted and legally cannot be sold, traded, or shared with anyone else. You also cannot create and sell items with a copyrighted embroidery design without obtaining written permission from the owner. Unless otherwise specified, copyrighted embroidery designs are for personal use only. If you own a machine that operates without a computer interface, it will be limited to the disks or cards designed for that machine. For greater design capabilities, it is best to have a machine with computer access. Not only can you download designs and transfer them to your embroidery machine, but you can also create your own designs using digitizing software. Computer software is available for editing, customizing, digitizing, sizing, and colorizing your designs. The completed designs are then transferred to your embroidery machine via a computer disk, a card reader box, a PC memory card, or by a direct connection cable. 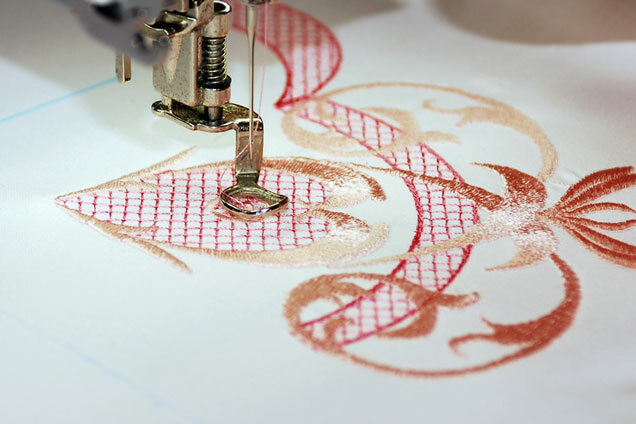 When purchasing an embroidery machine, ensure that the type of connection you want is available. You can often learn to use your embroidery machine from a local dealer that sells your brand of machine. Embroidery craft magazines, such as Designs in Machine Embroidery and Creative Machine Embroidery, offer helpful ideas and techniques as well. You can also visit embroidery shows and events where you can attend lectures, participate in workshops, and learn about new machine embroidery products and trends. If your interest in machine embroidery is more than a hobby, you may wish to consider a commercial embroidery machine. Commercial embroidery equipment adds a whole new dimension to the craft. These high-speed machines can run for hours at a time, which is necessary for an embroidery business. 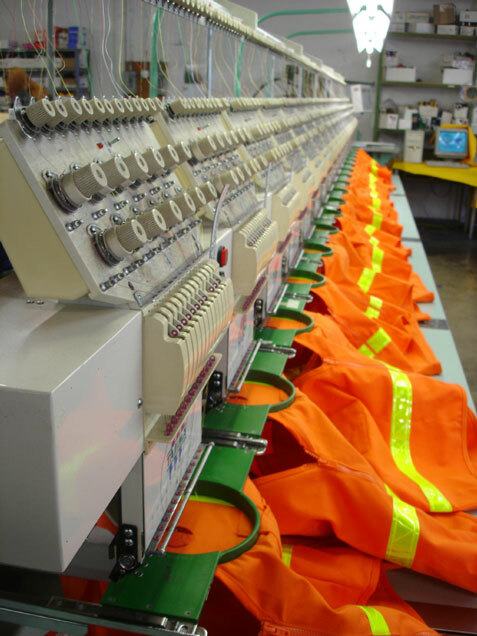 Commercial embroidery machines feature multiple needles, stitch a wider variety of fabrics and designs, and stitch multiple colors without stopping to change the thread colors. Resources such as Stitches and trade associations such as the National Network of Embroidery Professionals are available for embroidery business owners. The Decorated Apparel Expo is a great place to learn about new embroidery equipment and techniques. Whether you are interested in machine embroidery as a hobby or as a business, EmbroideryMachines.us can help. Browse the embroidery resources and embroidery machine manufacturers to find the products and information you need for making beautiful, professional-looking embroideries. Offers an embroidery design gallery plus embroidery tips, software, and accessories. Their embroidery enthusiasts club features special pricing on stock design packs. This noted sewing and embroidery expert offers embroidery articles and downloadable embroidery designs via membership in an online embroidery club.